They are smuggled out of Sabah and taken over land and by sea to Brunei. There they are consumed as delicacies despite a local ban on their sale. We’re speaking of turtle eggs. According to The Brunei Times, turtle eggs from Malaysia are sold at the black market illegally within the small nation on Borneo. A local who sells the eggs in Brunei told the newspaper that 10 turtle eggs fetch 12 Bruneian dollars (RM36). “I’m only a reseller. I bought (a set of 10) from him (a supplier) for BN$10 and was given a meeting point. Then I offered and delivered to anyone who was interested,” said the seller, who added that turtle egg merchants keep in touch with their clients via social media messaging apps. In compliance with the Convention on International Trade in Endangered Species of Wild Fauna and Flora (CITES), Brunei has outlawed the sale of protected turtles and their eggs. According to the country’s Wild Fauna and Flora Order 2007, offenders face the prospect of up to five years in prison or a fine of up to BN$100,000 (RM300,000), or both. The harsh penalty, however, has clearly not stopped some locals from breaking the law just for a taste of turtle eggs. Needless to say, it’s hardly their fault alone. 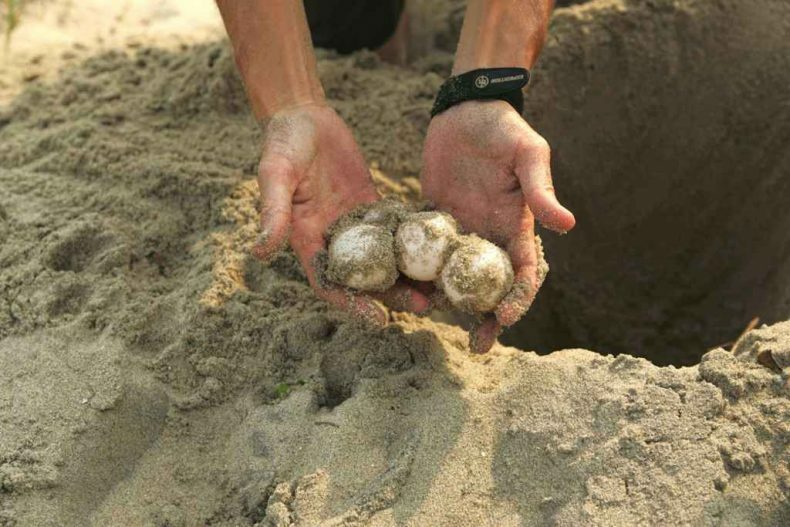 Since the reptile eggs originate in Sabah, some locals in the Malaysian state must perforce be involved in the harvesting and smuggling of turtle eggs to Brunei. Even as Malaysian conservationists are working hard to save and protect threatened and endangered turtles, some other Malaysians are willfully undermining such efforts for a handful of ringgits. For shame. Often, though, it’s not simply greed that is at issue. So is callous disregard for the environment. Last November, Ismail Sabri Yaakob, the minister of Rural and Regional Development, participated in a government-sponsored dinner in Sabah where he and other guests were served some two dozen eggs of protected turtles. At best Ismail was an unwitting party to a wildlife-related violation. At worse he knew but did not care. In any event, he duly pleaded ignorance when a national controversy erupted over the incident. “What kind of message are [Ismail and other senior officials] consuming those turtle eggs sending to the next generation, to Sabah people, to all of us working hard to conserve and protect wildlife in our beloved Sabah?” Dr Benoit Goossens, director of the conservationist agency Danau Girang Field Centre, wondered. It’s a similar message to the one that news of turtle eggs being smuggled from Sabah to Brunei sends: turtles remain at risk in Malaysia.